(CNN) -- Entertainer Ed McMahon has been hospitalized for more than three weeks with pneumonia and other medical problems, his spokesman said Friday. 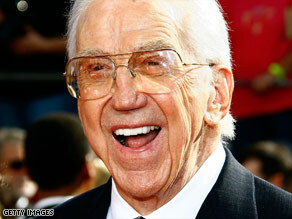 85-year-old Ed McMahon is in serious condition, according to his spokesman. Doctors say McMahon is in serious condition, said the spokesman, Howard Bragman. "Ed's a big, strong, hearty guy and his family and I are hopeful and optimistic about his prognosis," he said. McMahon is 85. He will turn 86 on March 6. Bragman and McMahon's family are "praying and hoping for the best and are appreciative of everyone's thoughts and prayers," Bragman said. He declined to say where McMahon is hospitalized. McMahon gained fame as Johnny Carson's sidekick on "The Tonight Show." CNN's Rachel Wells contributed to this story.